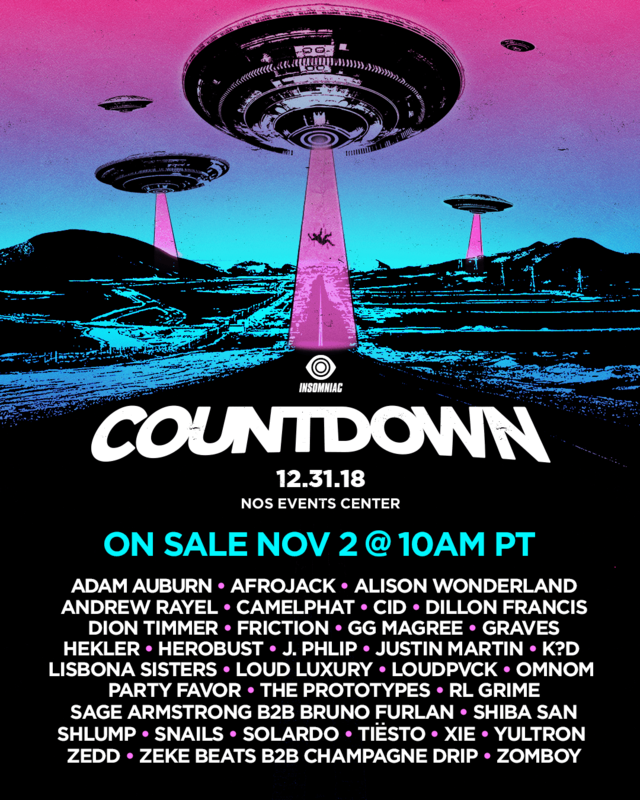 Today, an extraterrestrial message from Insomniac announced an out of this world celebration – Countdown NYE Lineup 2018 – the largest New Year’s Eve party on the West Coast, returns to the NOS Events Center in San Bernardino, CA on Monday, Dec. 31. Blasting off into the New Year, Earthlings will bid farewell to 2018 and ring in 2019 amidst interstellar décor, brand-new stage productions, new VIP offerings, and unforgettable performances from galaxy-renowned dance music artists across four uniquely epic stages. Tickets for this premier New Year’s Eve event will go on sale Friday, Nov. 2 at 10 a.m. PST at CountdownNYE.com. As Countdown NYE traverses the wide, infinite reaches of outer space and toasts to new beginnings, four new stage designs will debut with iconic productions and explore the outer limits of dance music. The Mothership, The Nebula, Area 51, and Twilight Zone will each cross over into another dimension of sound, sight, and mind while bringing subterranean vibrations emanating from distant galaxies. 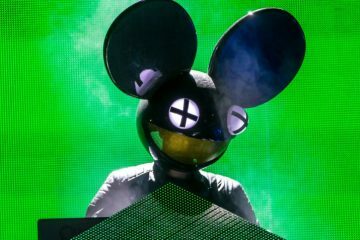 Last year, Insomniac’s premier New Year’s Eve party celebrated with a record-breaking 78,000 headliners. 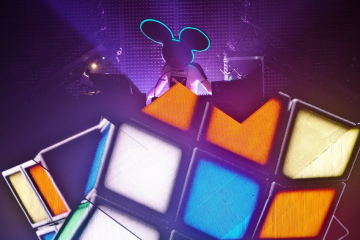 While celebrating the New Year to come, Headliners marveled in state-of-the-art production, enclosed heated seating areas, and plenty of champagne popping under a sea of glowing lanterns and raining confetti. Details surrounding this year’s elevated offerings will be revealed in the coming weeks. Tickets for this 18-and-over New Year’s Eve celebration will go on sale Friday, Nov. 2 at 10 a.m. PST with General Admission starting at $99.99 before taxes and fees, VIP passes starting at $199.99 plus taxes and fees and the exclusive SkyDeck experience also available at CountdownNYE.com. Layaway plan options will also be offered. Insomniac Announces Midnight Set Times For Countdown NYE 2017 – Tickets Going Fast!